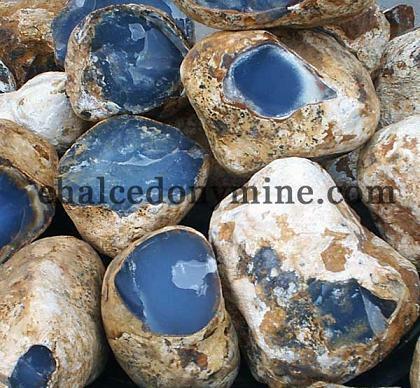 Blue Chalcedony has been famous as a weather magic stone throughout history. This stone is found in Morocco, Brazil, Russia, Turkey, New Zealand, Mexico, England, Iceland, Slovakia, Austria and USA. Chemically, this stone is an oxide of silica. Silica is a mineral ingredient in mineral makeup that you wear on your face. Chalcedony healing stone of blue color is a perfect choice for handling stress and problems which threaten to shake you up. It helps in the restoration of peace and balance. The tranquil vibrations of this stone help in soothing the complete being from the heart the body and the soul. It can enhance telepathy and helps people to connect with the higher invisible worlds. It is a great stone for counselors and therapy seekers alike as it helps the person to speak up and even aids past life regression. During the regression, this stone only helps you to access those memories which have a direct connection to your healing. This stone also represents the Blue ray and hence has amazing affects on the mind. Blue Chalcedony Asks, "Why Worry?" It works well with stones like Ajoite, Lapis, Petallite, Alexandrite, Opal, Oregon, Chrysoprase and purple chalcedony. This stone is great for worrywarts or people who tend to worry without a reason. It helps in soothing the emotions and concentrate on the present moment instead of constantly worrying about the future. This stone helps in activating the third eye chakra and the throat chakra which unlocks the deepest knowledge and also helps in accessing the knowledge from the cosmos. It also helps in communicating with the Spirit and teaches the language of Light. It helps in developing more positivity and clarity while communicating with people. This stone is perfect for singers or soothing throats of people who are constantly speaking due to their profession. Physically, it aids in the healing and soothing of throat infections and sore throats. This stone works well in enhancing your all round health, including your throat chakra. Detoxification of your body is enhanced using this stone. It can also help in getting rid of problems like diabetes, nightmares, glaucoma, lymph nodes issues, dermatitis and edema. It helps in healing the aura and removing any kinds of leakages of energy. It heals people who are prone to anxiety, panic attacks and other feelings like desperation. People who tend to experience emotional issues like irrational anger and fear can use this stone to heal and soothe their emotions. It is a great catalyst in removing all patterns of anger which lie deep within us and tend to subconsciously affect our lives. It helps people in realizing the true impact of their words and helps them to think before speaking. Blue Chalcedony can help in defending yourself against any kinds of psychic attacks like incantations and spells. 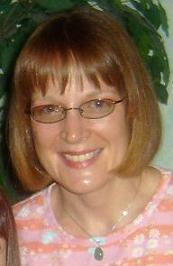 It helps people to accept changes and new situations resulting from those changes. With the colored Blue Chalcedony, learning new languages can become a cake walk. It helps in memory expansion and enhances remembering power. Blue Chalcedony corresponds to the zodiac signs of cancer and Capricorn. The ruling planet for this stone is the moon and it works on the throat and third eye chakra. When wearing mineral makeup, you may even be wearing elements of the silica blue chacedony mineral and its crystal meanings, on your face. Think of it in a metaphysical sense.